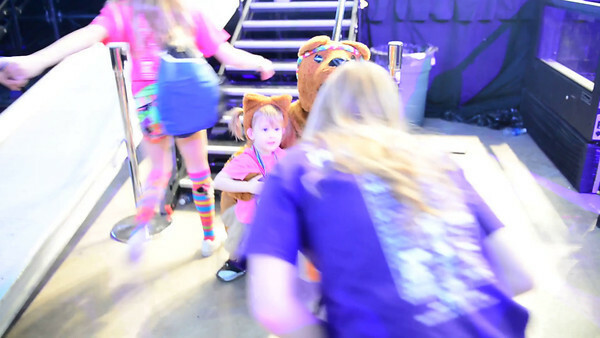 The Penn State IFC/Panhellenic Dance Marathon is the largest student run philanthropy in the world. The students of Penn State have raised over $110 Million since 1977. The money is raised October - February and goes to the Four Diamonds Fund at Hershey Medical Center for Pediatric Oncology research and to help the families pay for the their medical expenses. This fundraising culminates in a 46 hour Dance Marathon at the Bryce Jordan Center where 700+ students stand on their feet for 46 hours straight, no sitting, no kneeling, no sleeping, and no caffeine! In 2014 the total raised was over $13.3 million FTK (For The Kids).